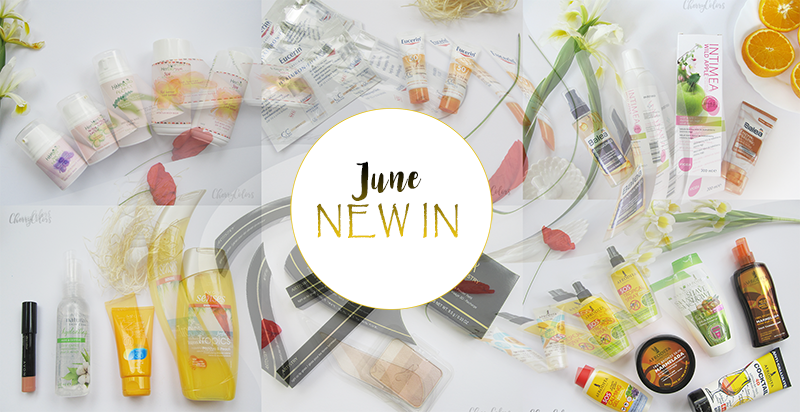 New in: June 2016 - Cherry Colors - Cosmetics Heaven! 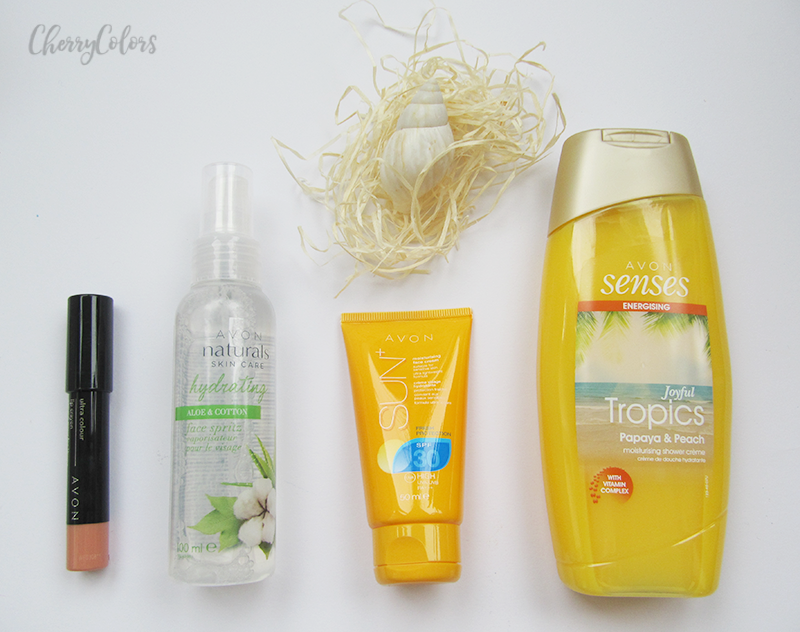 As promised, here's a new NEW in a post with all the goodies I got last month. I can't believe how quickly does a month go by. Wow! If you think that I didn't get a lot of stuff, you are very wrong. Come with me and check it out. Let me start with the first "haul" aka What I got in my SummerMBeauty bags. There were a lot of products. Some of them are already being loved by me. You can see the video here (at the end of the post). 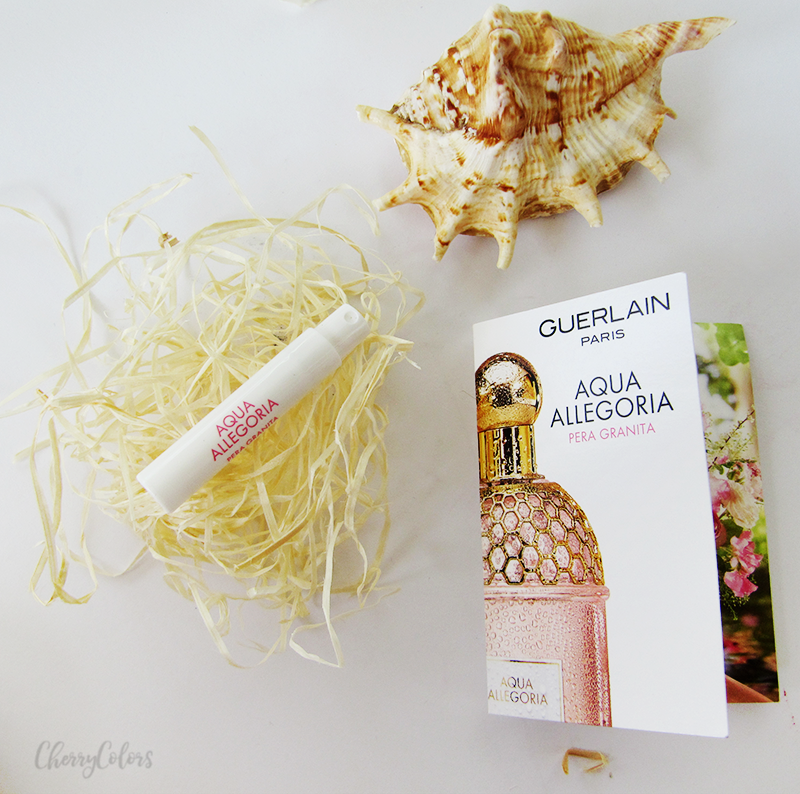 I received this perfume sample - Guerlain Aqua Allegoria Pera Granita from the SummerMBeauty event and I fell in love with it. I used it up in two days, haha. It smells so fresh and nice. Perfect for a summer night. Later I received some Avon PR goodies (I swear, they are spoiling me rotten). I am currently using the Tropics shower gel which is fantastic. Has a thicker cream consistency, but it smells exactly like some tropical fruits. Yum! The other things are waiting for their turn, except for the lip, which I didn't like and gave away. 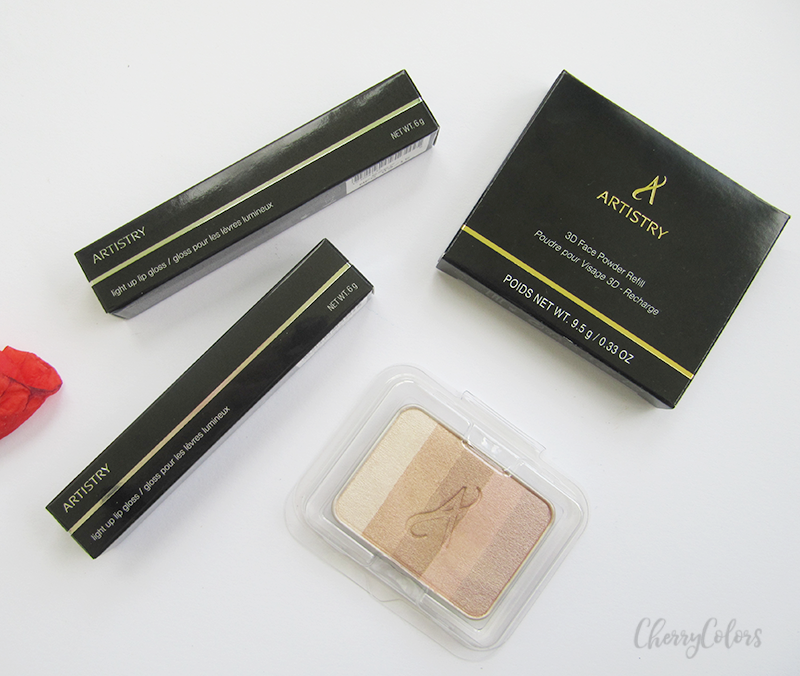 I got some Artistry products for review purposes but was not so excited about finding out that I just got the refill part of the highlighter (which is lovely) and no container. The lip gloss is fine (has a LED light and a slightly minty scent) and I gave one away in a giveaway. 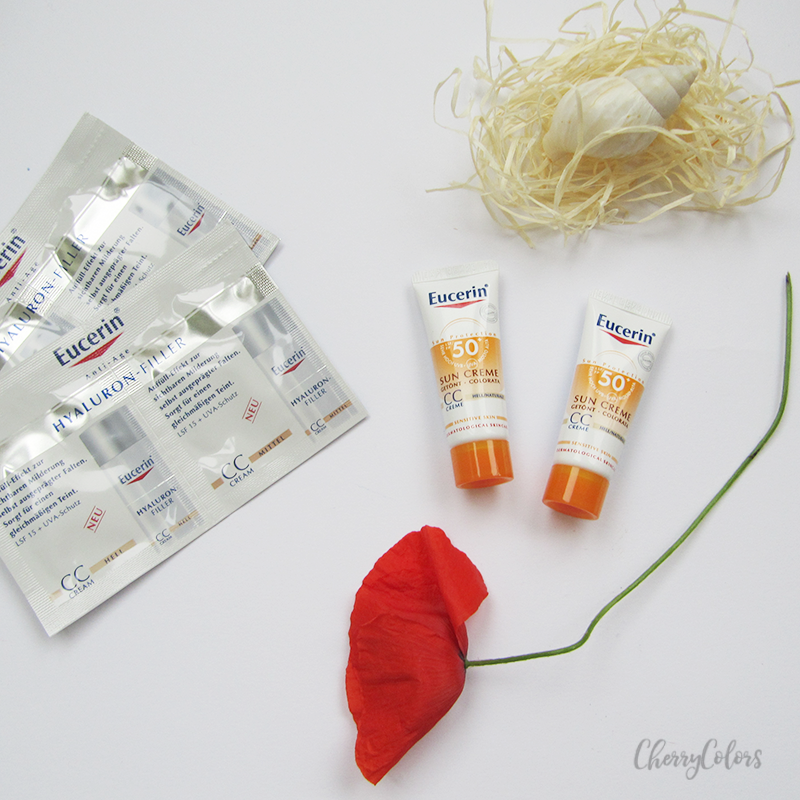 Eucerin was kind enough to send me samples of a lighter colored CC cream, which I already have in full size, but in a dark shade, which is too dark for me. And I found out that I do love the CC cream, but it will come in handy during Autumn days since it's not waterproof and I'm sweating a lot now. 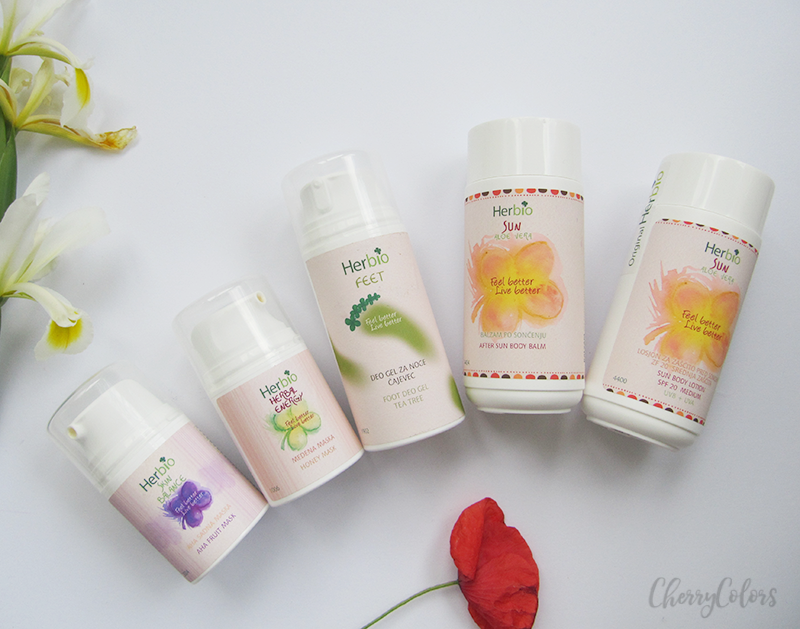 I will be doing a group review for Herbio which sent me all these goodies (okay I got the honey mask at the SummerMBeauty event). I must say that I'm impressed by their facial masks, but the sun lotions are a no-go for me because I can't get over the manly scent (like a men's aftershave lotion, blah!). Afrodita surprised me with a massive package. I wasn't expecting it but welcomed it since it contained products that are perfect for summer. I am already using at least half of the stuff, so yay! And for the last, here's what I bought in June. I needed a new intimate wash and since I had a coupon for 50% off the Intimea brand, I got this one. I saw that it's made by Afrodita, which is nice since I liked their intimate washes and couldn't find them in our local store. 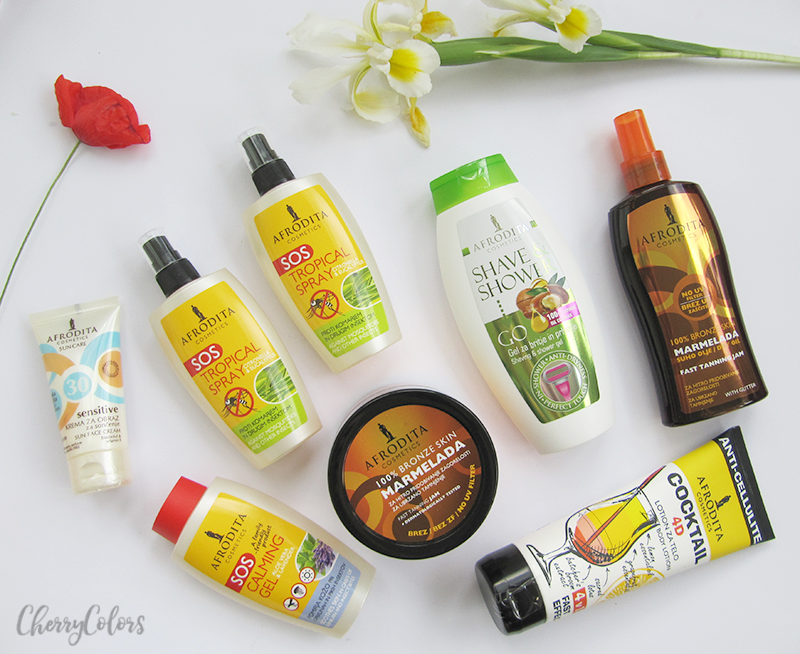 The Balea cleansing oil was a must since all the bloggers kept raving about it - and you know what? It's freaking amazing! 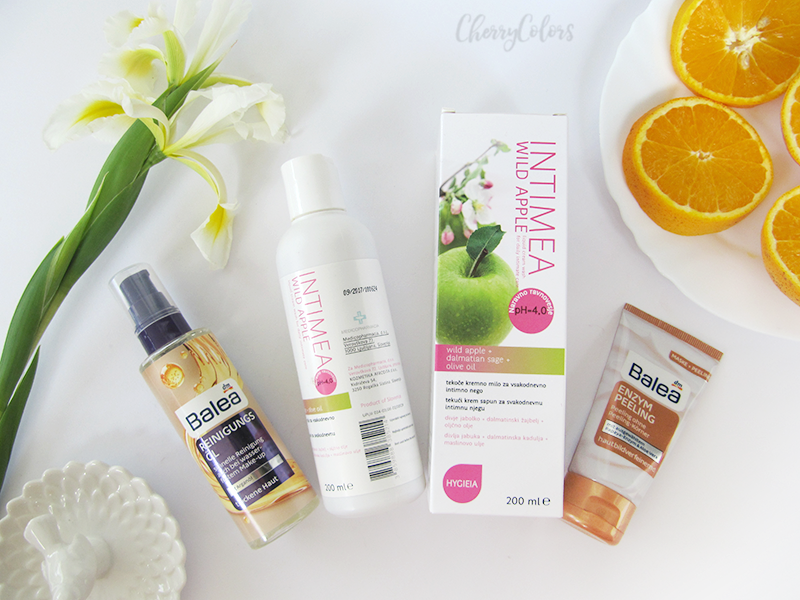 Of course, I couldn't go pass the Balea enzyme peeling, which I already reviewed here. I picked it up since I already used up that one and this one was on sale for 99c, because it's now available with a different formula and packaging. And what did you get this month?